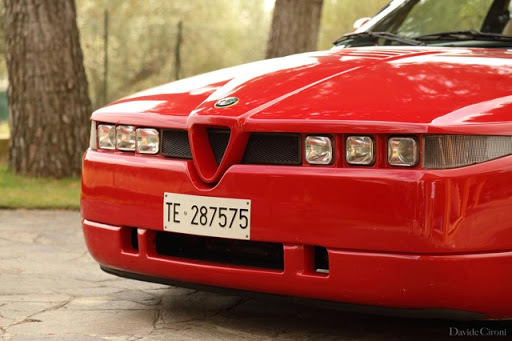 This is probably the most dramatic design Alfa Romeo has ever had; only Zagato could imagine such lines. Project ES-30 (Experimental Sportscar 3.0-liter) was based on the very fast and mean 75 IMSA. Developed (mainly its suspension) by the recently deceased Giorgio Pianta, the man behind Abarth Racing and Alfa Corse, the SZ, Delta S4, 155 DTM, and others were built under his wing. He was the one yelling in the box when Alessandro Nannini was about to kill Roland Asch for his deliberate contact at Singen 1994—go find my interview to the Italian driver. So: a pure, terrific, disputable design matched perfectly with mechanical components set up by racers. 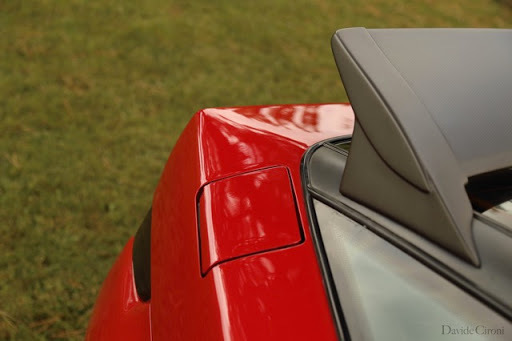 That means Turbo Evoluzione brakes, bigger wheels, thermoplastic body, and a bit of “encouragement” to bring the 3.0-liter Busso engine up to 210 horsepower. My eyes must take their time to accept this eccentric monster every time I’m lucky to meet one. I feel like being in front of some abstract art: the SZ is something you’re unable to understand immediately. After a minute, or ten, I start seeing its pureness. Hate or love it, the SZ is maybe the best-driving car Alfa Romeo built, from the very first up to the Giulia GTA and even the new 4C. With its looks as they are, it’s not a design exercise for museums, at all—but one for driving! 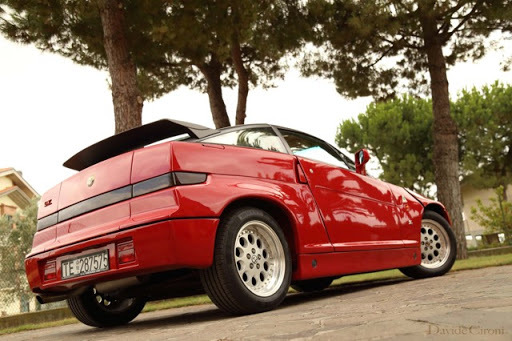 It is quite stunning to think this project comes straight from the ’70s; in fact, under the advanced Zagato bodywork there is an Alfetta base, evolved into 75 Milano, and lifted to reach the divine ES-30 in 1989. The first time I drove it was two years ago, as you see on the video, and I was really amazed. No one ever said me the SZ was so fast and fun, I had to discover it all alone that day around Terni roads, in the middle of Italy. Antonello, the owner, had a lightly tuned car before the SZ but he agreed with me the Zagato is so much better to use on the road. Less violent than a turbo, of course, but much more pure and tasteful. 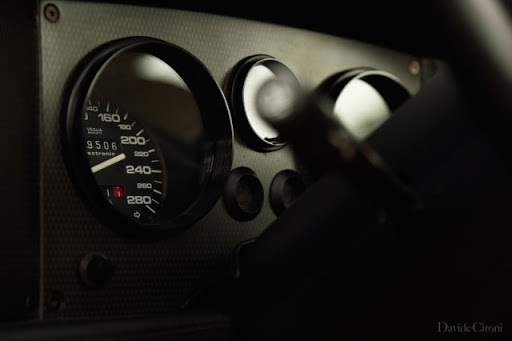 Steering is so precise that you probably don’t believe my words until you try for yourself. Rear traction is progressive on corners, and powerslides are always easy to correct with gas, I don’t want to imagine how it could be with the additional power from something like a GTA engine—probably near perfect, I guess. It brakes, it turns, it runs precisely as you wish. Inside, everything seems special to touch and see. The sport seats are very unusual in design as the rest of the car, the steering wheel is stunning and very satisfying to grip, but that sound in my head. The V6 by signor Giuseppe Busso is a violin. With its soft exhaust note and only engine and air intake whisper, I can listen every single valve lift as an orchestra, growing up and becoming a howl. The gearbox’s stroke is a bit too long, like an old school car, but precise and useful once you understand how to change without losing many revs. Its weight distribution is perfect. I went to meet Giorgio Langella, in Milan, a good friend of mine and already seen here on Petrolicious. 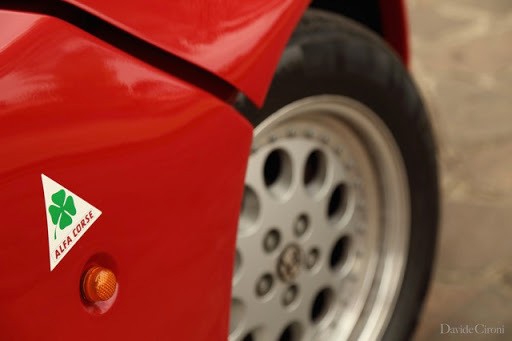 He was an Alfa Romeo official test driver for more than twenty years, and the one who drove earlier ES-30 prototypes. 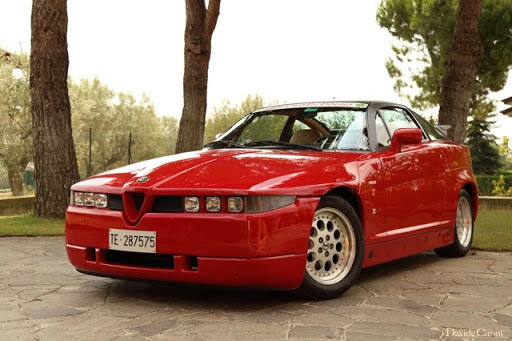 After saying the car was amazing for him at the time, he told me also that the 3.2-liter 24v engine, the Busso GTA, was already done, but Alfa Romeo decided not to fit it into this car. Maybe the 348 TB would have been too slow in a direct comparison? Like comparing a modern F430 and the way more beautiful but “slower” 8C Competizione? We will never know, so less questions and more driving. 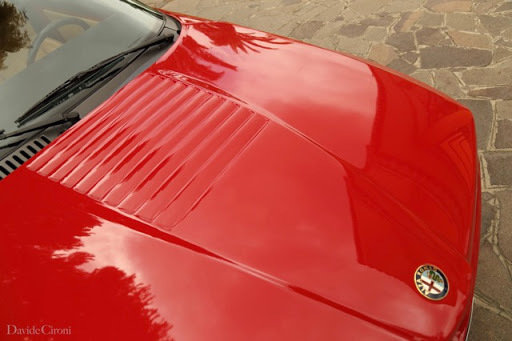 I can’t stop thinking this is a 75 IMSA for the road under the “Modar” thermoplastic skin, the car which monopolized the Giro d’Italia two years before the ES-30 project. It was made to amaze, and so it did. 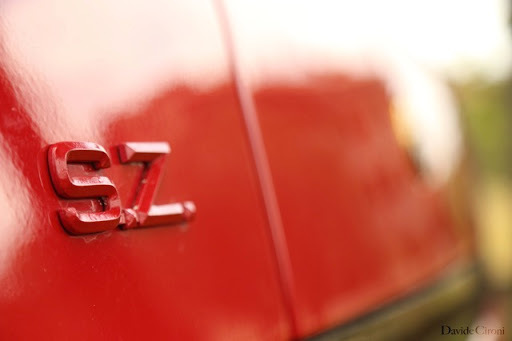 Only 1,036 SZs were built, and all in red, except for one: the young Andrea Zagato had his in black, with a red interior. One day, I’ll find it and make our jaws drop!